This week Darren Blick posted a blog about his success at the National Vegetable Championships in Malvern where he won a first prize for the presentation of three long carrots. In stark contrast my carrot growing story is somewhat different. Back in August we found ourselves with an empty raised bed, in a bid not to let any space go to waste we bought some very healthy looking carrot seedlings from Ayletts variety Nantes, a quick growing cultivar. Whilst planting them, committee member Steve wandered over and told us that Rodney had always told him (this is how it goes on allotments in case you’re not familiar) that you can’t transplant carrot seedlings. My assumption was that what Steve meant was that they wouldn’t grow, but they did and very healthy they looked too. Of course those with experience will know what comes next. I decided to pull some up this week and this is what I found. So, Steve you were right and Darren, I don’t think you’ll be facing any competition from me in the near future. The good news is that of course they are fine to eat, in fact the taste is great and in the process I’ve have learnt to listen to good advice from those who have been growing for far longer than me. 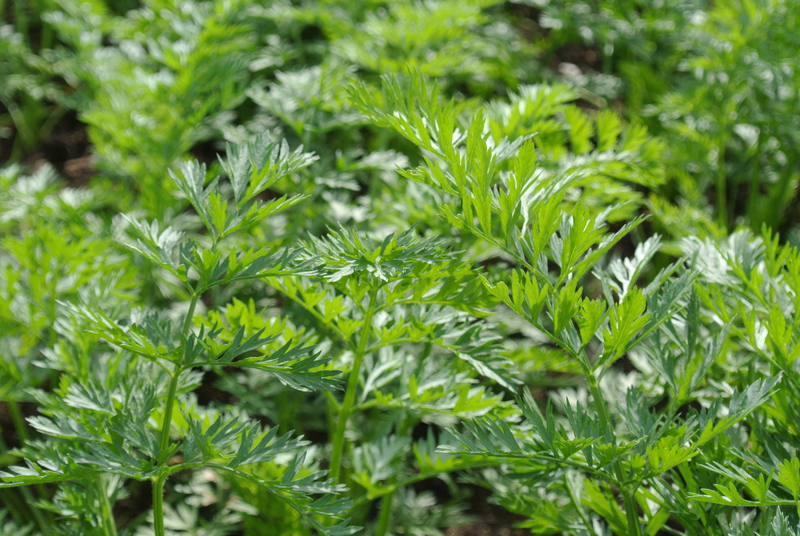 Information about carrot growing from the RHS here. They are actually quite big, this was enough for two dinners and we have a whole bed full of them. Will know better next time. I also feel that a carrot cake might be in order. Bet they’re tricky to peel! If it’s any consolation, I grow mine from seed and every year, without exception, one will look very rude. This year’s comedy carrot was exceptional, although embarrassment prevents me from posting a photo on a blog! Laughing. I got Derek to do that. Too funny. As I started reading I was thinking, Hmmm, I’m not sure you’re supposed to transplant carrots. 🙂 Glad they still taste good! After some really sad attempts a few years ago, I gave up trying to grow carrots in my kitchen garden. They were just to time consuming for too little bounty, plus they’re one of the few vegetables you can buy here year round that are organic, cheap, and always taste good (much to the delight of our seven donkeys). 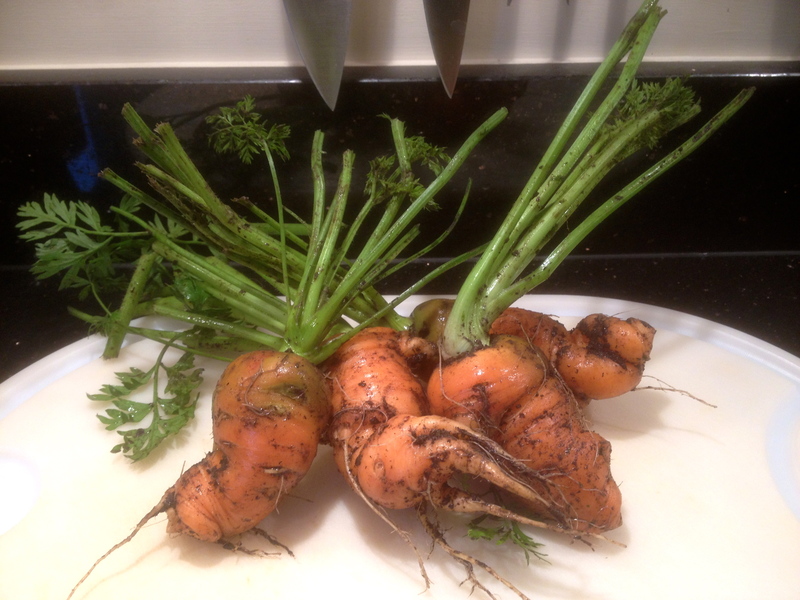 I did have fairly good luck growing the cute little Parisienne carrots. I just discovered your lovely blog via Fennel & Fern and am looking forward to reading more! We grew some Atlas a couple of years ago which looked so pretty but tasted woolly so think I would rather have it this way around. They’re quite easy and quick for us to grow in the raised beds otherwise I would feel like you, that they are relatively inexpensive to buy.